USANA, word! : 12 tips to finding a healthier new you! 12 tips to finding a healthier new you! Losing weight is hard – we all know it! But if you’re motivated, if you’re supported and if you are ready to make the changes you need for a healthier life, getting to the right body weight for you is one of the best things you can do for your health today and for the future. Not convinced? Here are some tips to help you lose those clinging extra kilos! 1. Get into the zone. And get ready to commit! 2. Buddies are best! Surround yourself with positive people and it can lift you to success. 3. Every little bit helps. If you want to manage your weight, shifting just 10 per cent of your body weight if you’re overweight or obese brings enormous health benefits. 4. You’ll reduce your risk of type 2 diabetes. According to Diabetes Australia, if you’re overweight, you’re twice as likely to develop type 2 diabetes. 5. It increases your chances of a healthy pregnancy. If you’re a woman of childbearing years, and you’re overweight, you may have difficulty conceiving. Getting to within a normal, healthy weight range for your height helps boost your chances of a healthy baby, too. 6. Being overweight is linked with several types of cancer. 7. Carrying too much weight weighs heavily on your joints. This is especially true for the weight-bearing joints like the hips and the knees. Being overweight long-term increases your risk of developing osteoarthritis. 8. Weight tends to creep up slowly. And being less active can have weight-gain effects that last for years. 9. Healthy eating habits rub off. So set a great example for those around you and especially for your precious children. 10. Keep on top of your progress. But don’t overdo it – once a week weigh-ins can help to keep you positive and focussed. Above all, get involved; congratulate yourself and look forward to healthier living. 11. Make exercise part of your life. Moving more can bring huge benefits – it can cut your risk of developing heart disease, diabetes and even some cancers. 12. Opt for walking. Or yoga, tai chi, step aerobics, cycling, aquatic exercise or any other form of low-impact exercise. Do something that you enjoy and you'll be more likely to stick with it. Walking is a good start. If you have a medical condition, talk with your doctor before starting an exercise program to ensure that it’s right for you. Get ready to reset your health! Read this week’s Information Campaign “Twelve Tips to Finding a Healthier New You” to know more. 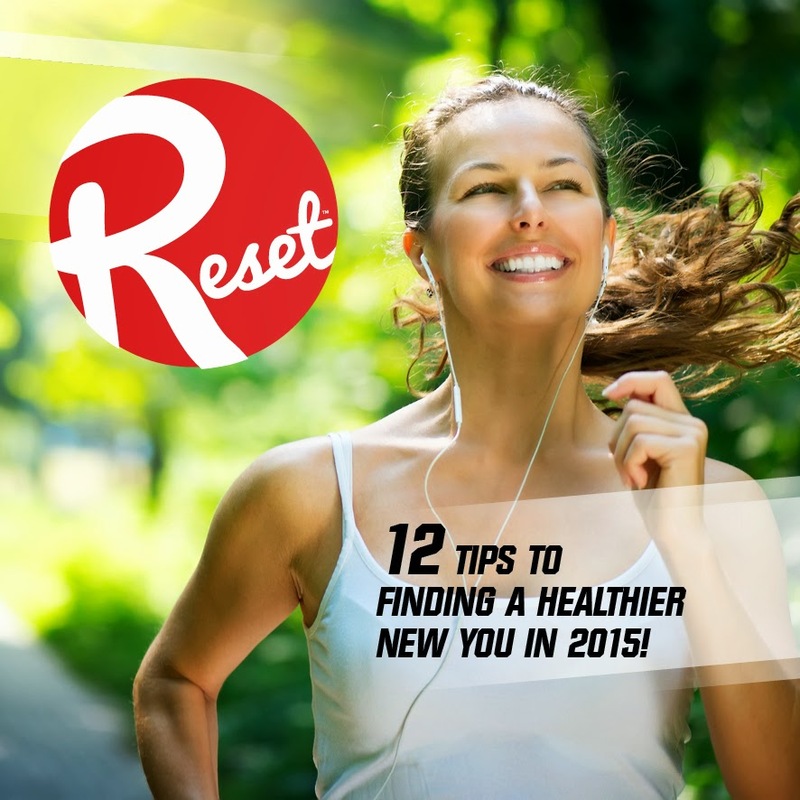 Log into the Hub to join the 2015 RESETNATION Challenge today and in 12 weeks you will discover a healthier new YOU!